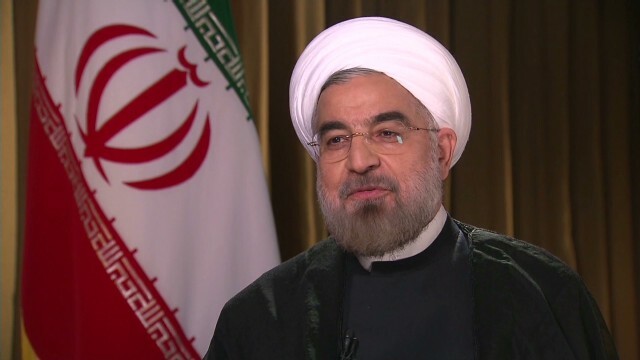 CNN speaks with Fareed and International Correspondent Reza Sayah, currently based in Iran, about the phone call President Obama had with Iranian President Hassan Rouhani on Friday. This is an edited version of the transcript. The good money obviously is always on skepticism whenever we hear of two parties that have been at such loggerheads for so many decades. But this was a remarkable announcement by the president. Whether or not it pans out, of course, that is another matter. Zakaria: Oh, of course. This is the first time since 1979 that the leaders of the two countries have talked. I think part of what was going on here, of course, was President Rouhani, I would guess, was trying to kind of reassure the administration that he has enough control over his government and his policy that he can actually make contact with the president of the United States without having to check back home with Tehran with the hard-liners and such. So, I think it was progress in that sense as well. Maybe there's some consternation back in Tehran, but it demonstrates that the president of Iran does have the ability to make those kind of decisions, which is important, because ultimately neither side is going to get exactly what they want in this deal. And the question is, on both sides – President Obama, President Rouhani – can they deliver? Can they get their countries to accept a deal that's 80 percent of what you want, but not 100 percent? If earlier in the week President Obama wanted to meet and have a handshake with President Rouhani, and President Rouhani sent the message back to the White House he can't do that, the politics back home are too difficult, what would change so that this phone call and this conversation about a comprehensive agreement could take place? Zakaria: I would guess that President Rouhani was probably startled by the amount of blowback that came. I met with him with a small group of people, a small group of journalists, right after that – the next morning – and the question I asked him was, how can you assure us that if you don't have the authority to shake hands with the president of the United States, how do we know you have the authority to negotiate a nuclear deal with him? And I think they realized that they had a problem, that they had signaled to the world that the president of Iran didn't have this kind of leeway, this freedom of action. So I would guess the movement came on the Iranian side, where they realized they had to demonstrate that the president had more authority than was being assumed. President Rouhani of Iran tweeted about this conversation before President Obama could announce it. But, tell us, how is this being reported in Iran? Sayah: Now this phone conversation, the first time a president of the United States and the Iranian president have talked to one another – that's going to make headlines. But here's a critical point. I think lost in all this publicity is the fact that President Rouhani, even with his new mild mannerism that's a stark contrast to the former president, even with his conciliatory tone, he's made it clear that his position is not different than the Islamic Republic's position, what's it's been for years. And that is they're not going to back down from what they describe as a peaceful nuclear program. They are not going to back down…[on] uranium. So no matter how this is viewed by the world, this nuclear program and these negotiations are going to come down to what kind of agreement these two countries are going to be able to hammer out. So, certainly, this is going to make headlines, but in the end, what are these two countries going to be able to hammer out? So certainly this is going to make headlines, but in the end, are these two countries going to be able to strike a deal when it comes to the nuclear program, this obstacles that's in the way of these two countries establishing a relationship? If you could explain that tweet that we saw from President Rouhani. It said President Rouhani says, "Have a nice day" to President Obama and President Obama says, "Thank you. Khodahafez." Zakaria: It means God be with you. And, in fact, it's a point of contention in the Islamic world. The Persians tend to Khodahafez. It’s the standard slang, but the hard-liner Sunnis now say "Allah hafez" because they don't like the Persian word Khoda, which is God. But that's inside baseball. EXPLODING ORGAN WHILE SELL DRUGS RECORDED CAMERAS FROM SATELLITE. LA ONU BAN KI MOON ABE JOSIKO NODA MINISTRO CHINO KIM JON IL. GANANDO DINERO CON ASESINATOS ROBOS VIOLACIONES NARCOTRAFICO. CNN EEUU EUROPEAN AND ASIAN DRUGS WITH NANOTECHNOLOGY TO KILL HUMANS. MONSANTO FARMACEUTICS AND OTHERS INTERPRISE SELLING INDUSTRIAL TALC. FDA COMPLICE WE HAVE THE PROVE. ONU HAGE AN NORTH AMERICANS TRIBUNALS ALOWING GENOCIDE. FDA COMPLICE WE HAVE THE EVIDENCE. UROPEAN AND ASIAN POLITICAL OBAMA PAY THE FDA TO SELL DRUGS NANOTECHNOLOGY IN FOOD AND BEVERAGE . ALL THIS WHILE THEM DESTROY THE BRAIN TO VICTIMS WITH INVASIVE TECHNOLOGIES USING – OUTSIDE LOOK LIKE MODELS BUT INSIDE THEM CAUTERIZE THE POLITICS BODIES. 13.0000 CLAIMS AND THE FBI INTERPOL and EUROPOL COLLECT ONLY DO NOTHING GOLD . EUROPEAN AND ASIAN POLITICAL OBAMA PAY THE FDA TO SELL DRUGS NANOTECHNOLOGY IN FOOD AND BEVERAGE . ADN THE ERROS COURTESY BY GOOGLE VILLAGE WE SEND LETTERS. In regard to the interview, which none of these posts seems to address, the point about not being able to arrange the handshake as Rouhani was told not to do by his leadership at home, says quite a bit. If he can't even shake the presidents hand without permission from the supreme leader, then how can he possibly have the authority to negotiate on his own as he has said he can? Obviously we have to believe that regardless of what he says, he is being controlled. After more than 30 years of bad blood, things will not be moving with the speed that Mr. Rouhani and the Iranian supreme leadership is hoping. It's true that Obama made the phone call from his Oval Office to Rouhani, before he boarded the plane back to Tehran. But it was the Iranians' desire that their president speak to Obama on the phone, instead of meeting up with him at the UN and shake hands in front of the world cameras.